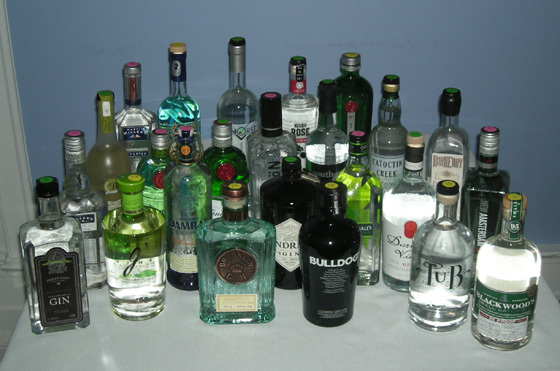 The Fifty Best held a “blind” tasting of 24 premium gins with 19 pre-qualified judges. Strict tasting rules were applied. The order of service was established beforehand by lottery. 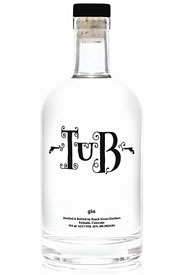 Each of the gins were poured into fresh glasses from new sealed bottles, and served at slightly above room temperature. Only ice water and neutral unflavored bar snacks were available to cleanse the palate. Nose: Lemon peel, lemon marmalade, citrus, cucumber. Palate: Lime, lemon verbena, lime soufflé, pine resin, juniper, prickly pear, cola, fruit gum, palm leaves, cedar, distinctive, great. 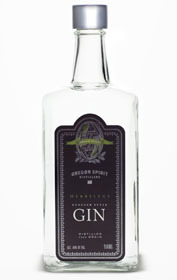 Finish: Juniper, eucalyptus, lime, lemon drop, sweet citrus, herb, strong, smooth. Nose: Light floral, sweet berry, lemon, gentle lemon, lemon cream, lime, orange blossom, strong citrus, lavender, sugar, Earl Grey tea. Palate: Piney juniper, juniper, lemon, lime, lemon verbena, mango custard, dried peaches, pear, grassy herbs, violets, flowery, sweet, peppercorn, pine resin, complex. 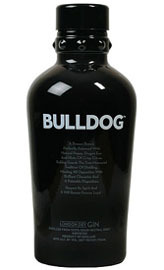 Finish: Creamy vanilla bean, peppercorn, cinnamon, juniper, floral, herb, pine oil, eucalyptus. Nose: Light citrus, piney, juniper, lemon soufflé, dry lemon, citronella, tangerine, banana, anise, grassy. Palate: Floral, juniper, cracked juniper berry, peppery juniper, pine resin, licorice, lemon, honey, vanilla, floral, velvety, oily, viscous, complex, balanced, classic. Finish: Saffron, pepper, citrus, juniper, herb, eucalyptus, resin, strong, smooth. Nose: Citrus, lime, lime soufflé, orange blossom, slight fruit, minty, lovely floral, honeycomb, coriander, juniper, touch of sandalwood. Palate: Floral, dried peach, lemon peel, vanilla, sandalwood, pine resin, cloves, brown spices, lemongrass, fresh violet, gardenia, lavender, cucumber, pepper, rich, smooth second sip. Finish: Juniper, pistachio, rose sorbet, cloves, eucalyptus, lightly spicy, floral, citrus notes, creamy, great, delightful, lingering. Nose: Lemon, lemon cream, lemon cake frosting, lemon peel, lime, orange blossom, cinnamon, sweet spice, cake batter, cola, piney juniper, sandalwood, marmalade, watermelon. Palate: Lemon notes, lemon curd, mixed citrus, orange honey, floral juniper, floral talc, flowers, violets, lavender, sweet, cotton candy, pastry, clove, anise, oily, pine resin, peppery spice, spice, creamy mouthfeel. 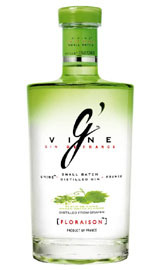 Finish: Marmalade, dried citrus, lemon oil, fruity, fresh violet, spicy, vanilla bean, wintermint, clean, pure, smooth, great. Nose: Lemon peel, light citrus, bubble gum, sweet, perfume, floral, juniper, hops. Palate: Citrus, lemon curd, lemon verbena, juniper, dried violet, rosewater, perfumy, herbal, faint anise, menthol, complex, delicate, subtle. Finish: Flowers, lemon, dried citrus, dried cherry, sweet spices, saffron, smooth, clean, short, elegant. Nose: Corn, honeycomb, pine resin, herbal juniper, Earl Grey, sweet spice, cloves, potato, leather, grain mash. Palate: Verbena, Earl Grey tea, licorice, anise, clove, mint, nutmeg, peppery spice, sweet, floral, eucalyptus, menthol, wet stone, cornmeal, cherry, dried fruit. Finish: Peppercorns, saffron, rose, eucalyptus, resin, very clean, soft, rich, smooth. Nose: Lemon sugar, lemon verbena, lemon, hints of lime, tangerine, piney, herbal juniper, sandalwood. Palate: Lemon peel, lemon, juniper, pine resin, spicy, menthol, over the top woodsy character, loads of flavor. 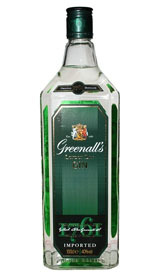 Finish: Dried herbs, wintermint, mint, juniper, celery, raisin, eucalyptus, pine resin, soft smooth. Nose: Floral juniper, piney juniper, floral, violets, marmalade, citrus, lime, lime soufflé, lemon, honeydew, cucumber, light anise. Palate: Lemon peel, lemony, lime, oranges, citrus, peaches, mango, hint of pineapple, prickly pear, tropical elderberry, espresso pepper, crème brûlée, cucumber, pine resin, herbal juniper, cloves, minty, nice. Finish: Rose petals, hot butter, brown spices, spicy, sweet, fruity, smooth, strong, short. Nose: Garden of Eden, cinnamon, sweet spice, lots of spice, herbal juniper, lime soufflé, lime, mint. Palate: Floral juniper, cracked juniper berries, flowers, mint leaves, mint, tea, coriander, orange, anise, pine resin, menthol, oily. Finish: Floral talc, juniper, peppercorn, herbs, dried citrus, spicy, soft, easy. Nose: Lemon, citrus, tangerine, peppermint, honey tea, faint pine, light floral, cucumber. Palate: Juniper berry, lemon, lime, lavender, vanilla, sweet meringue, clove, coriander, pink peppercorn, anise, eucalyptus, sandalwood, fresh pine, menthol, sweet mango. Finish: Lemon, sweet spice, spicy, pepper, wintermint, wet stone, hot eucalyptus, dried citrus, Juicy Fruit, smooth. Nose: Floral, lavender, juniper, Earl Grey tea, lightly fruity, lemongrass, cassia bark, touch of lemon, lime soufflé, rosewater, springtime. Palate: Lemon, tangerine, juniper, grain, pastry, juicy fruit gum, mint, anise, herbs, pine resin, hint of pepper, white pepper, heavy spice. 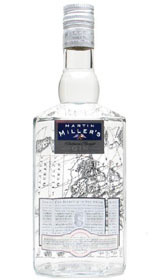 Finish: Fresh violet, floral, touch of citrus, sweet, juniper, eucalyptus, wintermint, nice, soft, smooth, clean. Nose: Fresh flowers, piney, floral juniper, lemon pepper, lemon peel, light mint, grass, cloves, tangerine. Palate: Cracked juniper berry, floral hops, butter cream, vanilla ice cream, grain, fruit gum, minty, spearmint, anise, almond, sweet, vague pepper, spicy, feminine, gentle floral delight, delicious. Finish: Wintermint, dried citrus, light, heavy alcohol, harsh, even. Nose: Juniper, piney, figs, oregano, herbs, light floral, vegetal, cypress, rosewater, olive oil, menthol. Palate: Juniper berry, lavender, saffron, peppery spice, even smooth pepper, spices, woody, grassy herbs, vanilla, light citrus, orange peel, rose sorbet, creamy, hint of salt, yummy. Finish: Herb, pepper, cola, violet, hot, soft, great. Nose: Light, beautiful, herbal, floral, juniper, cucumber, lemon peel, citrus tones. Palate: Lemon cream, lemon, cracked juniper berry, strong juniper, sugar, lavender, floral, cucumber, anise, peppercorn, spicy, medicinal. Finish: Wintermint, rich anise, cinnamon, floral, smooth, spicy, hot, dry, long. 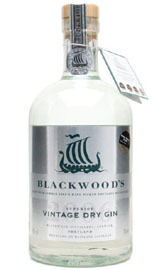 Nose: Piney juniper, herbal, violet, floral, honeycomb, vanilla, muddy lime, citrus, subtle. Palate: Lemon marmalade, lemon, huckleberry, pastry frosting, dried citrus, touch of clove, light spice, cinnamon, black licorice, anise, pepper, menthol, hint of wood, unbalanced. Finish: Faint citrus, black licorice, creamy vanilla bean, spicy, herbal, sour, pungent, rough, hot then smooth. Nose: Floral, juniper, herbal, sweet citrus, honey, sweet buttercream frosting, fig, tangerine, raisin bran, cucumber. Palate: Pine resin, juniper, citrus notes, herbal spice, coriander, hot nutmeg, spice, botanicals, Earl Grey tea, citrus, raisin, flowers, licorice, anise, mint, menthol, oily, nice, good complexity. Finish: Juniper, cinnamon, minerals, light pepper, smooth, even, hot. Nose: Piney, juniper, lemony, lemon creme, slightly floral, Earl Grey tea, lavender, medicinal, subdued. Palate: Juniper, fruity, sweet orange, citrus, celery salt, chalk, layered with cream, sandalwood, nutmeg, hazelnut, anise, light pine, tangy, menthol, iodine, pepper with some heat, light burn. Finish: Dried citrus, rose petals, herbal, grass, sweet spice, balanced, pleasant, clean, crisp, hot, slight burn. Nose: Sweet spice, faintly floral, juniper, buttered popcorn, pine, vaguely potato, subtle. Palate: Sweet berry, mint, wintermint, grassy herbs, dried flowers, grain mash, toasty, pastry frosting, lemon custard, apple, pine resin, Earl Grey tea, spice, mild pepper. 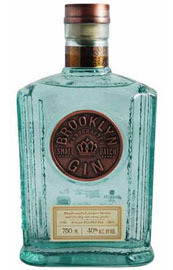 Finish: Floral, vanilla bean, pink peppercorns, juniper, smooth, light, dry. Nose: Saffron, Fresca, lime soufflé, cucumber, herbal, light juniper, light citrus blossom. Palate: Lemon verbena, orange blossom honey, citrus, nutty butter, cracked juniper berry, juniper, floral, grassy, pine, pine resin, sweet & sour, astringent, distinctive. Finish: Spicy peppercorn, wintermint, juniper, grassy, smooth, even, short. 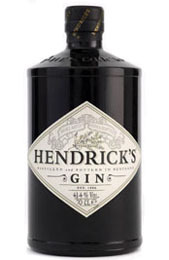 Nose: Juniper, piney juniper, floral juniper, coriander, mint, lime soufflé, lemon, lemon peel, watermelon, grain, anise. Palate: Cracked juniper, woody juniper, tangerine, lime soufflé, floral, fruity, pepper, black pepper, spice, anise, pine resin, violet, vanilla, grain, harsh, rich. Finish: Cinnamon, wintermint, juniper, sweet, soft, smooth, lingers.